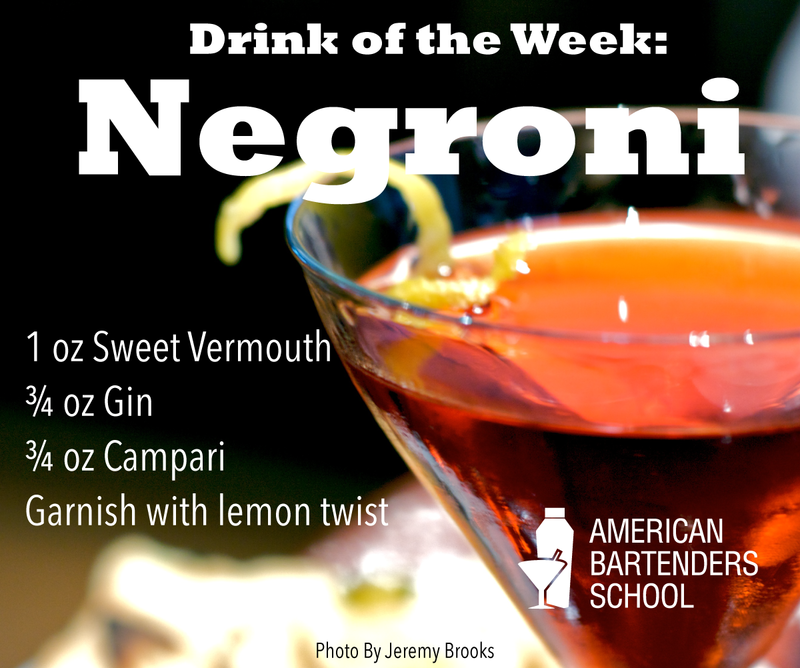 Much like our previous Drink of the Week, The Manhattan, the origins of the Negroni are unknown. There are two main stories floating around, however. The first, according to the New York Times is that back in 1919, a man named Count Negroni came up with the drink at a cafe in Florence, Italy. The other is that a General Pascal Negroni had the idea in Paris at a military officers’ club. This theory is recounted in two sources, so we could assume this is more likely, but who knows. The bottom line is that when a customer orders a Negroni, you can tell them that they are drinking the ‘perfectly balanced drink’, according to BuzzFeed. Although fall is here and winter is fast behind it, this story about drinking Negronis from The Awl, makes the case for a Negroni season anytime. There is also this epic tale of a Negroni Crawl throughout NYC from Slate writer, Troy Patterson. Stir ingredients in a mixing glass, strain into a chilled cocktail glass (or ice-filled double rocks glass) and garnish. Thanks Jeremy Brooks for the pic!